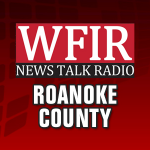 From News Release: Roanoke County Fire and Rescue responded at about 4:45 a.m., on Friday, May 18, 2018 to the 4300 block of Toddsbury Drive in the Vinton area for the report of a building collapse. First arriving crews found a home that had been completely moved off its foundation due to a landslide. Crews from Vinton Fire and EMS and Roanoke County Fire and Rescue responded to the incident. There were no injuries. A family of three was in the home at the time of the landslide and building collapse but were able to evacuate unharmed. There is one cat missing. The displaced family will be staying with nearby relatives. It appears that the landslide was caused by some excavation being done behind the house. Therefore, building officials do not believe that any other homes are in danger. A county engineer is coming to the scene to investigate.